Sleek is beautiful – this principle also applies when designing a space. And this master bedroom is a testament to that notion. 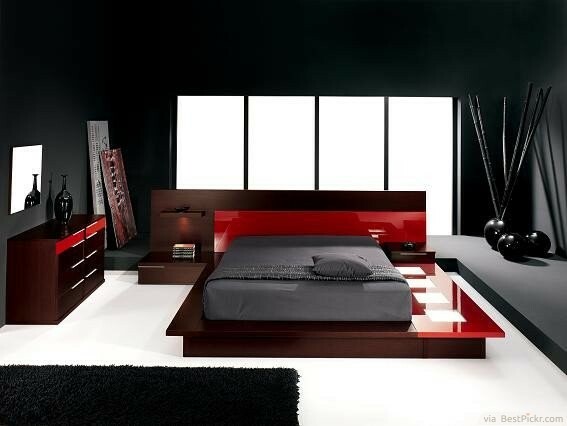 The modern glossy interior, confident color red and bold black combination, and eclectic decor make this bedroom exude as much charm as it possibly can. The infusion of Japanese, Chinese and Korean in contemporary Western style is best suited for an independent bachelor.